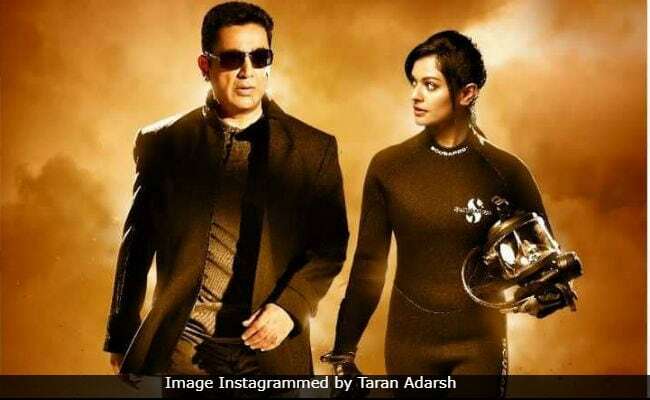 Actress Pooja Kumar recently revealed that sharing screen space with her Vishwaroopam 2 co-star Kamal Haasan has been a great learning experience for her as the actor has taught her to be "persistent," reports news agency IANS. Pooja revealed that she has been a big fan of the actor ever since she watched the 1981 film Ek Duje Ke Liye and told IANS: "The biggest thing I learnt from Kamal sir is not to give up and be persistent. The longer the journey you have in life, you face much more ups and downs. In films, you give your life literally, years of time, hours of hard work and one day the film releases, and within a few moments, it gets declared a hit or a flop." Pooja added, "I have seen how this man (Kamal), no matter what obstacles are coming on his way, has never given up. That is a big lesson of our life...to be focused." Pooja, who played the role of a nuclear oncologist in the first installment of the Vishwaroopam series, reprises her role in the film and mentioned that after several years of staying in the marriage, her character finally falls in love with her husband (played by Kamal Haasan). "My character starts from where it has ended in part one, so now, Dr Nirupama Viswanath is falling in love with her husband after so many years of their marriage, knowing how he is dedicating his life for his country," IANS quoted her as saying. Vishwaroopam 2 is a high-octane action thriller, in which Kamal Haasan plays the role of a RAW agent. Directed and written by Kamal Haasan, the film will release in Tamil, Hindi and Telugu on August 10. Apart from the Vishwaroopam series, Pooja Kumar has featured in many Hollywood films like Man On A Ledge, Brawl in Cell Block 99, Bollywood Hero and Drawing with Chalk among others.